When it comes to purchasing a used vehicle you want to work with local auto dealers that you can trust. But how can you be sure that you have found the very best? With so many options out there it can be difficult to know which dealership is right. 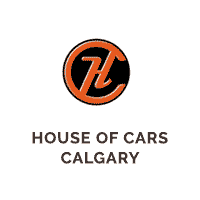 House of Cars Calgary has been in the game since 2012 and in that time we have seen the best and the worst. We want to share our experience with you so that you can have a better idea of what to look for when choosing with dealership to work with. A dealership could offer customers the best inventory and the most attractive prices but without a professional and compassionate team it would mean nothing. First and foremost you will want to be sure that the professionals you are going to be working with are polite and helpful. A great way of finding out whether this is the case is by doing some research and focusing on customer reviews. This should give you a good idea of what you can expect in terms of the level of service you are going to receive. Buying a used vehicle from local auto dealerships should never feel like a gamble. This is why we recommend that you work exclusively with those dealers that are able to offer you guarantees on your vehicle. You don’t want to work with an untrustworthy dealer that could lead to problems down the road. At House of Cars all of our vehicles are CARPROOF so our customers have a full picture of the history of their vehicle. We also conduct extensive full body mechanical inspections and offer warranties on every vehicle that we sell. When you work with us you don’t just get your dream vehicle; you also get a peace of mind. Of course, this whole process is all about getting you a fantastic vehicle at the end of the day. You will want to work with those dealers that have a strong inventory and a good chance of having something that fits your needs. At House of Cars we have a strong inventory of over 400+ vehicles and because the satisfaction of our customers is what matters most, we will go out of our way to track down any special requests for them. We offer a range of vehicles cars, coupes, SUVs, trucks and vans to our customers. If there is something you want that we don’t have, we’ll find it for you. We believe that every customer has the right to driving a vehicle that they are proud of and they know can keep themselves and their family safe. We offer access to our Credit Rebuilding Program to all customers. This program helps our customers to get their dream car by allowing them to find flexible financing options that fit with their budget and priorities. You want to find a local dealership that can offer you a similar level of flexibility – though it may be hard to find. A sure way of separating the best dealers from the worst is by checking on how they are perceived within the industry. The used vehicle sector is growing rapidly and there are a lot of industry awards that acknowledge the best and brightest that are pushing the industry forwards. At House of Cars we are very proud of how our focus on customer service and quality has been recognised over the years. In 2016, 2017 and 2018 we won the Best Used Car Dealership award in the Top Choice Awards as well as the Metro Community Choice awards. In addition we won the Best Pre-Owned Dealership in the Reader’s Choice Awards for the same three years. If you want to work with the best give one of our representatives a call today or fill out our simple online form.